For comparison, last year at this time the rig count was climbing toward a more stable February peak of 348. But stability is hardly in the energy dictionary right now. Volatile discounts, weak international prices, illiquid equity markets and a never-ending pipeline drama has spooked those with money and hollowed those without. It’s pretty simple really: No confidence plus no money equals no drilling. That’s what was happening late last year. Having said that, the very real potential for fiscal disaster was averted. To clear the late ’18 production glut, the government of Alberta stepped into the market with a mandatory oil curtailment (8.7 percent across the board). In 2007, an Alberta government warned that bitumen prices could eventually fall so low that the government’s royalty revenues — critical for its budget — would be at risk. Photo via Government of Alberta. Over the past 50 years, the development of the oilsands has changed the face of Alberta, driving innovation and technology to make oilsands a reality. The oilsands are the third largest oil reserve on earth, and despite a cycle of boom and busts, contribute to the prosperity of the province. 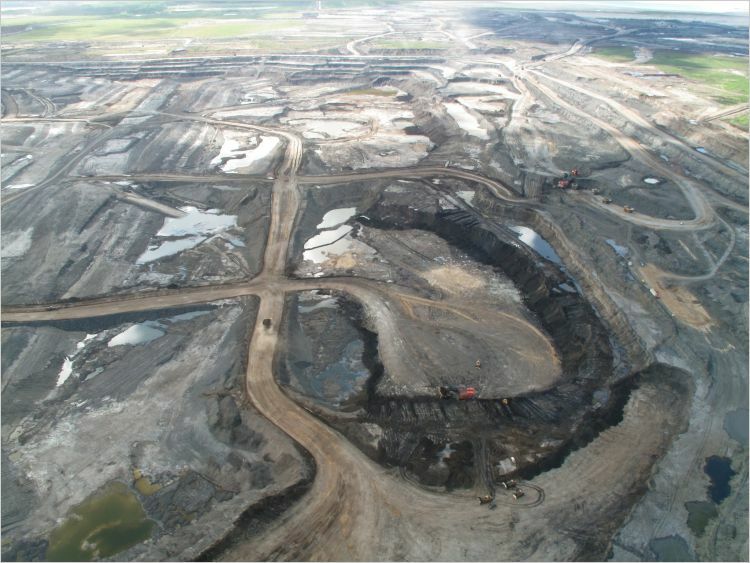 Industry, however, has not addressed many of the largest environmental impacts generated by the oilsands, and much work is still left to be done. This blog is part of a series where we look back at the last 50 years of the oilsands industry and shed light on a number of the remaining challenges. See Part 2 here and Part 3 here. After 50 years of production, the oilsands remain among the world’s most carbon intensive large-scale crude oil operations. Studies continue to back this up. The Carnegie Endowment’s Oil-Climate Index suggests most oilsands crude is associated with 31 per cent more emissions than the average North-American crude from the point of extraction through its lifecycle to the point of end use (See Figure 1). When looking at the carbon pollution associated with the extraction and processing, the Oil-Climate Index suggests that the oilsands generate 2.2 times as many emissions per barrel than the average crude extracted in North America (See Figure 2). Perhaps the most lingering myth about Energy East was that it would be built to displace foreign oil imports in Eastern Canada. 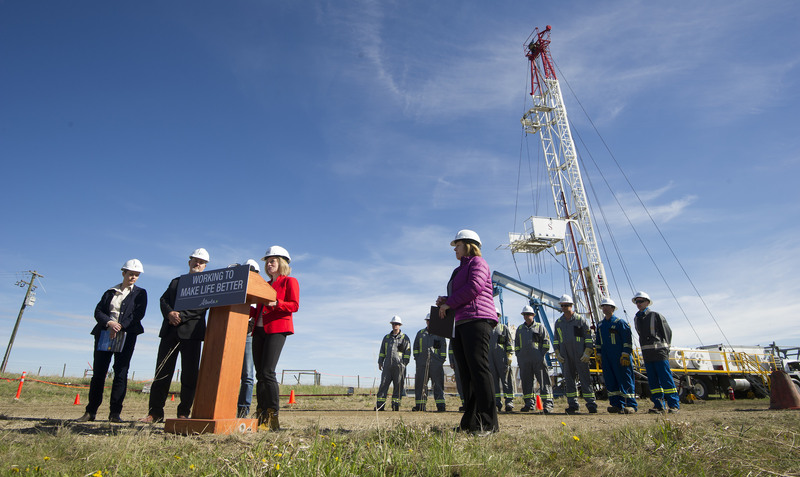 In fact, that very notion was repeated by Alberta Premier Rachel Notley in her Facebook post about the cancellation: “We believe this nation-building project would have benefited all of Canada through new jobs, investment, energy security and the ability to displace oil being imported into Canada from overseas and the United States,” she wrote. Except it’s never been true. An application by TransCanada to the National Energy Board back in May 2016 indicated that it would ship an estimated 281 tankers per year of oil, equivalent to about 900,000 barrels per day. That’s more than 80 per cent of the pipeline’s planned 1.1 million barrel per day capacity, leaving around 200,000 barrels per day to be refined at New Brunswick’s Irving Oil refineries. That’s far below the 736,000 barrels per day that TransCanada suggested is being imported from foreign countries due to a lack of a west-to-east pipeline. In addition, Irving Oil’s president suggested in 2016 that his company wouldn’t necessarily displace its use of cheaper barrels from Saudi Arabia with product from Alberta. ​Royal Dutch Shell says it has signed two agreements to sell its undeveloped oilsands interests in Canada for a net consideration of US$7.25 billion. Under the first agreement, the Anglo-Dutch energy giant will reduce its 60 per cent interest in the the Athabasca Oil Sands Project to 10 per cent and sell its 100 per cent interest in the Peace River Complex in-situ assets, including Carmon Creek, and a number of undeveloped oilsands leases in Alberta to a subsidiary of Canadian Natural Resources Ltd. Shell says it would remain the operator of the project’s Scotford upgrader and Quest carbon capture and storage project. 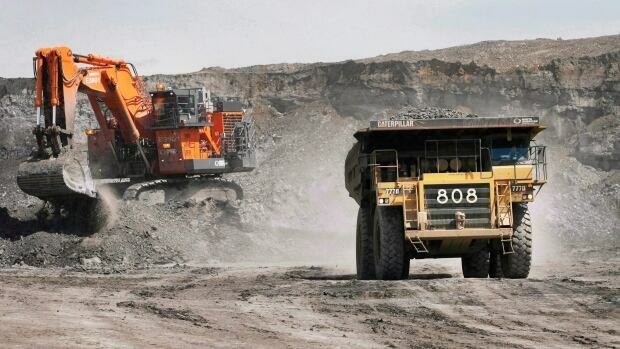 Canadian Natural would be expected to operate Athabasca’s upstream mining assets. 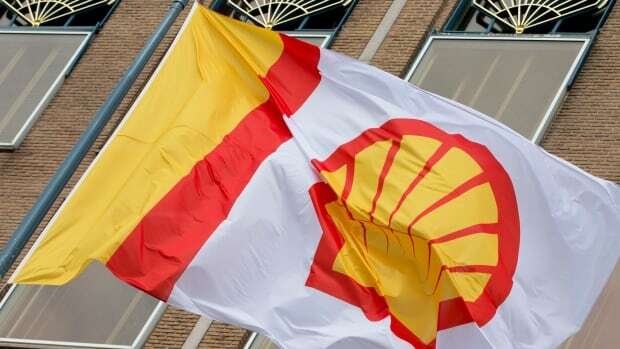 Shell says the deal is worth approximately US$8.5 billion ($11.1 billion Cdn), comprised of $5.4 billion in cash plus around 98 million Canadian Natural shares currently valued at $3.1 billion. Under the second agreement, which is also subject to regulatory approvals, Shell and Canadian Natural will jointly acquire and own Marathon Oil Canada Corp., which holds a 20 per cent interest in the Athabasca Oil Sands Project, for $1.25 billion each. The transactions are expected to close in mid-2017, subject to regulatory approvals. “These assets are an excellent fit for Canadian Natural, a highly experienced oil sands developer,” said Shell Canada president Michael Crothers in a release. Shell CEO Ben van Beurden said the deals are a “significant step” in re-shaping Shell’s portfolio in line with its long-term strategy. A massive wildfire raging through the northern part of Alberta has swelled in size and surged north of Fort McMurray, destroying an evacuated oil sands camp on Tuesday and it is projected to encroach on major facilities shortly. The flames consumed a 665-room oil-sands work camp north of the city, the Blacksands Executive Lodge, Alberta Premier Rachel Notley said Tuesday. The lodge is owned by Horizon North Logistics Inc. of Calgary. Officials said Wednesday they expected the fire to move east towards plants owned by Suncor Energy (TSX:SU) and its Syncrude subsidiary, CBC News reports. They added that the operations themselves are unlikely to be damaged by the flames as they are well isolated by wide barriers of cleared firebreak and gravel, and are employing their own firefighting crews. By 6:00 am local time Wednesday, the fire had grown to approximately 422,898 hectares in size. The wildfire, which destroyed whole sections of Fort McMurray earlier this month, is also expected to reach the neighbouring province of Saskatchewan. So far, it has forced more than 88,000 people to leave the area, with about 8,000 of them evacuating Monday night as the resurgent fire shifted directions, posing fresh threats to oil sands complexes and worker camps. Residents of neighborhoods in the Canadian boomtown of Fort McMurray – considered the gateway to Alberta’s oil sands as the Athabasca oil sands are roughly centered around the town – are under mandatory evacuation as a massive wildfire has jumped across Highway 63 and entered the city limits. Homes have begun to burn in Fort McMurray as residents flee for safety from a blaze that’s doubled in size within a day. More than 30,000 people have now been ordered to evacuate Fort McMurray communities. “My whole life is burning away,” Jenn Tremblett, who has left for Edmonton, told Metronews. “My home is in Gregoire (Fort McMurray neighbourhood) so it may be gone soon. “My family is trying to get out of town.” Tremblett said the community of Beacon Hill is on fire, after a nearby Shell gas station blew up. Fire officials have extended the evacuation order to 10 communities in the city, including Beacon Hill, Abasand, Waterways, Draper, Saline Creek, Grayling Terrace, downtown, Thickwood, Wood Buffalo and Dickinsfield. Since then it has only gotten worse for Canada, and as of two it culminated with the first official recession in 7 years. Additionally, in September we profiled the expected collapse of the Calgary commercial real estate market when we reported that in Alberta Canada now has 1.7 million square feet of empty office space, the most in North America, with another 5.2 million under construction! After years of booming construction, the natural resource rich country is starting to feel the pinch. Using data from real estate brokers including Jones Lang LaSalle Inc. and Avison Young, Bloomberg calculates that vacancy is already at a five-year high in Calgary and rents are the lowest since 2006 after thousands of office jobs were cut. Energy company tenants have now begun to ask for rental relief and are offering subleases for as little as half the going rate. The backlog is even worse: five new office towers with about 3.8 million square feet (353,031 square meters) of space hits the market in the next three years. There is some soul searching going on in the oilpatch this week in the aftermath of the U.S. rejection of Keystone XL. 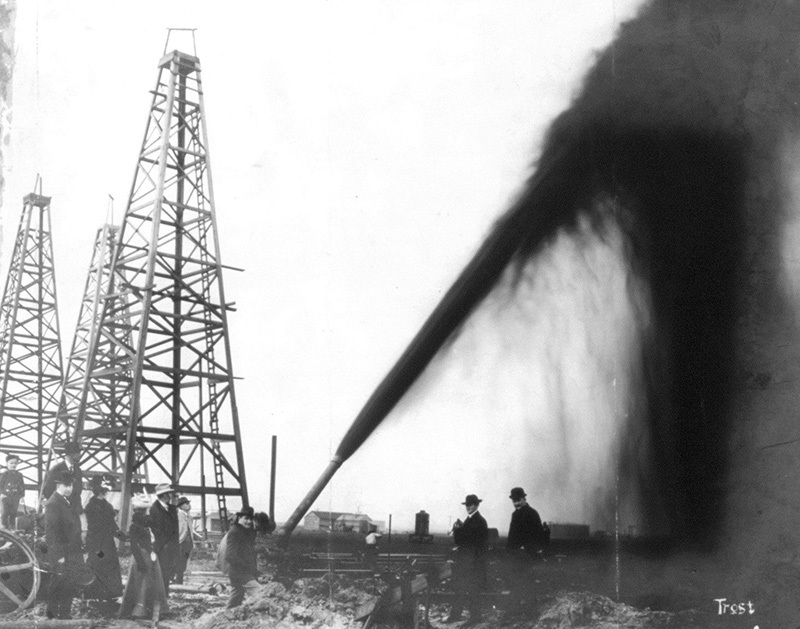 Would a carbon tax have changed things? A gentler hand with the politics? How much of the U.S. decision was connected to increases in their own domestic production? What they aren’t asking is how to get oilsands product to market. Because it’s getting there, in ways both obvious and unexpected. The oilsands have lots of problems, like low prices and high costs. But right now, market access is pretty far down the list. Is Keystone XL dead? Or just resting? In the years since Keystone XL was first proposed in 2008, Canadian oil exports to the U.S. have increased by more than a million barrels a day. Rail has picked up some of that slack, maxing out at 165,000 barrels a day in 2014. It was around half that in the most recent quarter. In an ironic twist, just hours after we discussed the record capital outflow from Canada, resulting from the plunge in oil prices and the mothballing of Canada’s energy industry, Obama’s long-desired goal of killing the Keystone XL pipeline has finally come true. Calgary, Alberta-based TransCanada Corp. sent a letter to the State Department, which reviews cross-border pipelines, to suspend its application while the company goes through a state review process in Nebraska it had previously resisted. The WSJ correctly notes that “the move comes in the face of an expected rejection by the Obama administration and low oil prices that are sapping business interests in Canada’s oil reserves.” Clearly the former was never an issue before, however the collapse in oil prices and the resultant plunge in CapEx spending means that the pipeline no longer made much economic sense. Those who work on climate change were both chuffed and chagrined by its role in Canada’s federal election campaign, which peaked last week with the victory of Liberal leader Justin Trudeau and defeat of Conservative incumbent Stephen Harper. Despite all of this, climate change didn’t have a significant impact on the election’s outcome. Fundamentally this was a campaign about values where action on global warming was bundled into a broader set of aspirations and ideas that Canadians said yes to last Monday. The election of Canada’s new prime minister is an important case study in the powerful potential of values-based messaging. 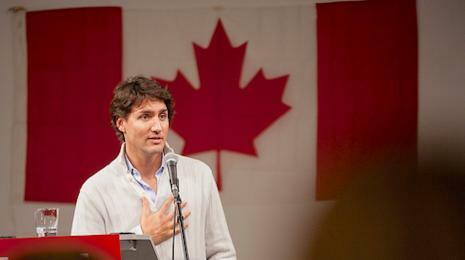 Where the Conservative campaign sought to preserve the status quo and motivate voters with threats of an unstable or unsafe future, the Liberal campaign (and to a different extent, the New Democrats) mobilized Canadians with a vision of change centred on honesty, inclusion and fairness. Of course, the timing couldn’t have been better. Much has been said about why Canadians’ were ready to bid farewell to one of their longer-standing leaders – corruption, fiscal mismanagement, deepening degrees of intolerance and an overt contempt for basic democratic principles being among them. FORT MCMURRAY, Alta. — An explosion at a Syncrude oilsands processing site near Fort McMurray has interrupted operations at the facility. Ryan Bartlett with the Alberta Energy Regulator says the blast happened early Saturday morning at Syncrude’s Mildred Lake site. Bartlett says in an email that the company reports that all workers are safe, no product has been released and no offsite odours have been detected. Syncrude spokesman Will Gibson says a fire broke out at the Mildred Lake Base Plant’s upgrading complex and was extinguished by Syncrude firefighters. Gibson says there’s no word on what caused the incident, nor is there an estimate on how much damage has been done. He says only Syncrude employees are being allowed onto the base plant site on Saturday, and the company is asking its contractors to be patient while it responds to the incident. “Part of that response will be a thorough investigation and we will release further information when it’s available. 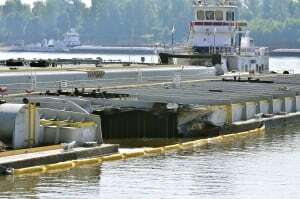 The safety of the people at our site is our top priority,” Gibson said. Bartlett said in his email that there have been no impacts to wildlife or water bodies. Gibson said air quality at the site is monitored carefully and that there haven’t been any concerns. He said production has been affected but that it’s too soon to say how seriously. Such information, he said would come from Syncrude’s owners. A drop in Canadian oil prices this week means companies in Alberta’s oilsands are breaking even or losing money on their operations. Currently, oilsands companies are receiving about half as much money for oil compared to elsewhere in North America. That’s making it difficult for companies to cover their production and transportation expenses. The value of oil from Alberta has dropped by 50 per cent since June. “At today’s prices, the typical producer is just able to cover those variable costs; many producers are above the typical level and they would be losing money for each barrel that they produce, if they are selling at the spot price today,” said Jackie Forrest, a vice-president with ARC Financial, who monitors trends in the Canadian oil and gas industry. Companies still have other costs to cover such as royalties and debt payments. 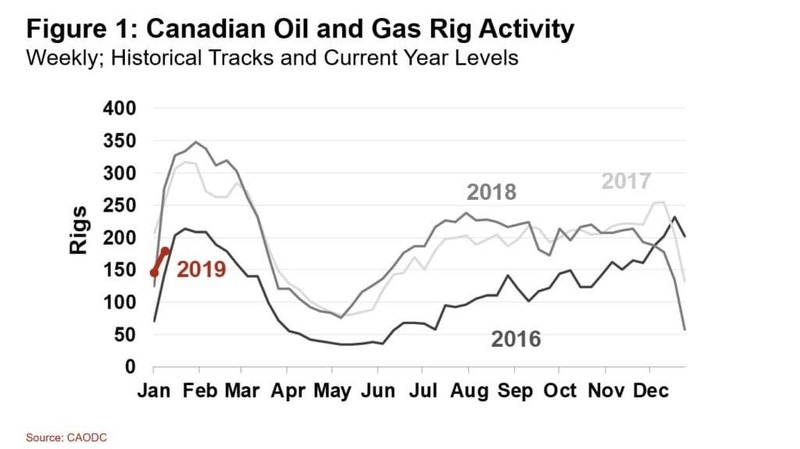 A double whammy has driven down Canadian prices since the beginning of July: North American prices have dropped and heavy oil from Canada has fallen further because of increased supply and the closure of refineries and pipelines. This week, BP shut down one of its refineries for heavy crude. The facility in Whiting, Ind., may need one month to repair. Meanwhile, Enbridge shut down both its Line 55 Spearhead pipeline and nearby Line 59 Flanagan South pipeline, following a crude oil leak in Missouri on Tuesday. “You have a bunch of demand for Canadian heavy crude that is gone, but it will resolve itself,” said Martin Pelletier with TriVest Wealth, which operates a Canadian energy investment fund.